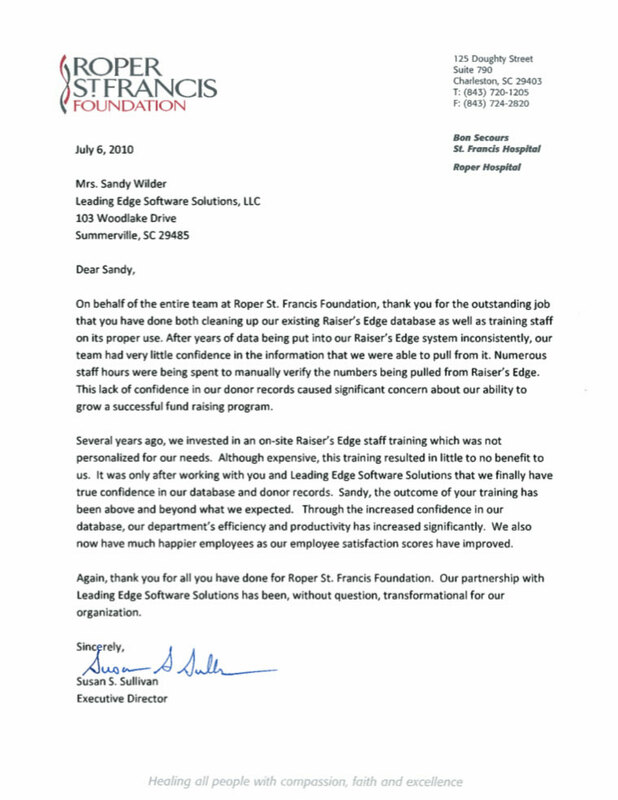 In the Spring of 2009, Leading Edge began a relationship with the wonderful staff at Roper-St. Francis Foundation in Charleston, SC. They were dedicated to improving their utilization of the Raiser’s Edge, and I was thrilled for the opportunity to help. Our relationship remains healthy and active today. Below is the wonderful letter I received from their Executive Director, Susan Sullivan. My dear, sweet late mother-in-law, Effie Leland Wilder, continues to inspire me in so many ways. She gave the world so much in her 97 years. 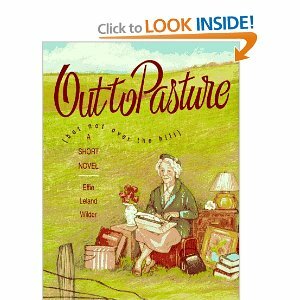 Having published her first of five books, Out to Pasture, at the age of 85, she reminds me daily to never give up on my dreams or limit the realm of possibilities for applying my gifts. Today, I’m reminded of one of her most signature tendencies. She had an endearing habit of referring to her children, grandchildren, and anyone else she held dear as her “little lambs”. Having her hold your chin in her hands and kiss you on the cheek as she exclaimed, “Hello, little lamb!” made you feel like you could conquer the world, if only briefly. Sans the kiss, it’s a practice I’ve adopted in my business, referring to my clients as my little lambs. It’s not, as one Long Island client suggested, because I’m leading them “to slaughter”, but instead, to convey my feelings of caretaking and shepherding them through the sometimes very complex, and often intimidating, Raiser’s Edge® software. I want them to feel comfortable and “tended to” and to be unafraid. I often tell them, “Don’t be scared, little lambs!”. Apparently, I occasionally succeed at that mission, as evidenced by feedback I sometimes receive from my clients. In order to share my client’s thoughts and to honor my mother-in-law’s memory, I’m launching a new category on my blog called Notes from the Pasture. In this category, I will post letters, feedback, and comments from my little lambs in an effort to give others insight into my work at Leading Edge Software Solutions. Check back next week for my first post, and please feel free to offer up your own thoughts for a future posting. And remember, don’t be scared, little lambs!